And just like that, we’re in the middle of Fall, with leaves changing colors, days getting shorter and the chill setting in. 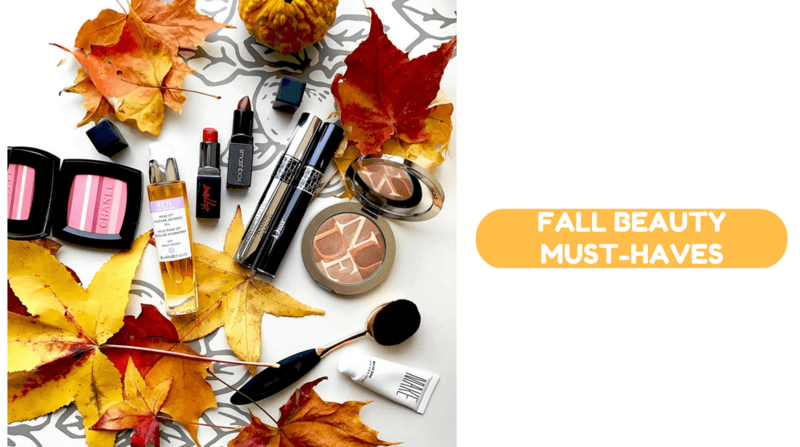 There are so many things I love about Fall – like the pumpkin-spiced candles, mulled wine & apple cider and the feel of richness and opulence both in the air and in the fashions that come with the territory. 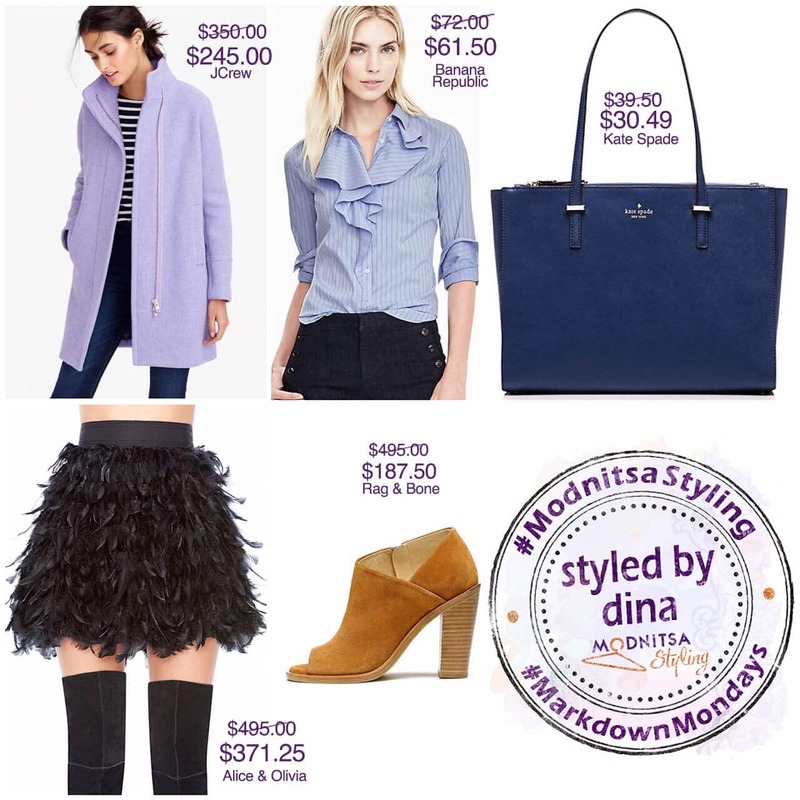 For this week’s #MarkdownMondays collage, which also happens to be on Columbus Day Monday, I chose transitional pieces that are perfect to take you through the next month or so as the weather fluctuates and layers become even more important. Most of these pieces are on an additional sale today because of the holiday, so grab them while you can! The outfit builds from the ground up with these adorable Rag & Bone open-toe”Mabel” heeled booties, made of Italian calf suede with a comfortable 4″ heel. From there we add an Alice & Olivia Black Cina Feathered Mini Skirt in black (you can pre-order it, and still use the sale discount). The skirt has a high waist and back zipper, and pairs well with both over-the-knee boots and booties alike. This JCrew Stadium Cloth Cocoon Coat is the perfect outerwear for this time of year, as it’s lightweight yet warm enough, and layers well over jeans, pants, skirts or dresses. The unique “heather french purple” color featured is neutral and very feminine, I have this coat in a bright green – and the silhouette is incredibly flattering – I get complements on it every time I wear it! Having the right button-down shirt for Fall is also super important as it always adds polish to your office outfits, and this Riley-Fit Striped Buttondown from Banana Republic is just the kind you need to bridge the gap between office-appropriate and fun & feminine. And finally, what’s an outfit without the perfect bag – this Cedar Street Jensen by Kate Spade has a structured, classy silhouette and comes is a great Fall hue called “ocean blue” (which makes me think of Summer, instantly making me happier) 🙂 It’s also #NationalHandBagDay today – what better time to treat yourself to a new purse!